Lemon Twizzler-(Henry Rowlan by Jim Hedgecock-2012)-Tall Bearded Iris-33 Inches Tall-Medium Late Bloom Season-Standards ruffled medium yellow. Ruffled and laced falls yellow and white blend with small white blaze below beards. Yellow fall borders. Golden yellow beards end in white upturned horns with yellow tips. 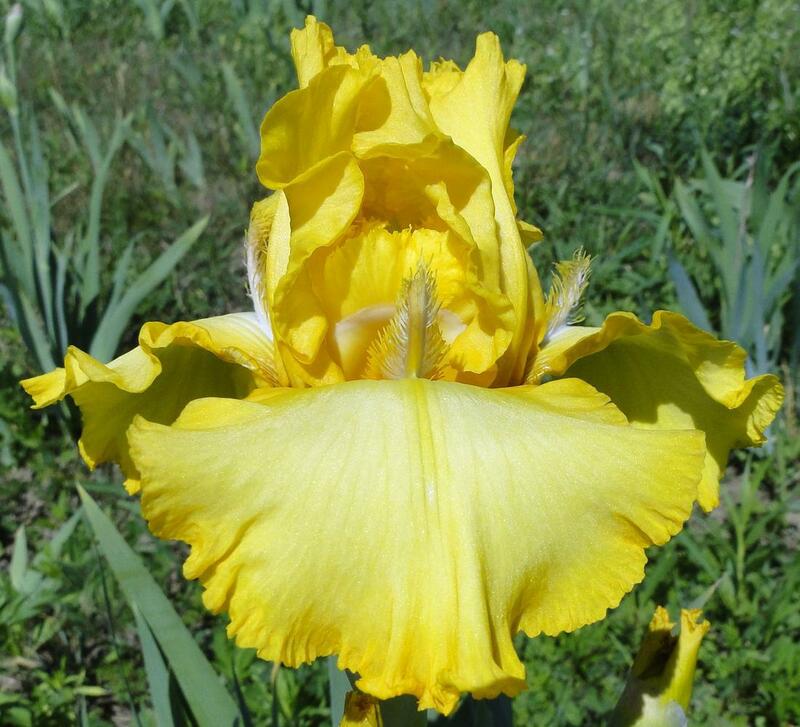 Excellent Arkansas bred space iris.